Fibromyalgia (FM) is truly a challenging condition to manage, as anyone with this condition will attest to! In the past, we’ve discussed many management strategies, including dietary suggestions. Although much of the nutritional information available about FM management is not supported by a lot of “scientific study,” the National Institute of Health through the NCCAM (National Center for Complementary and Alternative Medicine —formed by Congress to evaluate and appraise alternative treatments) provides information on dietary recommendations and supplements for FM patients. This month, we will dive deeper into nutritional considerations as this can REALLY make a huge difference for the FM patient! Since fatigue, sleep quality, and muscle pain are three VERY common FM complaints, the FM patient can track their response to different dietary approaches as they add, modify, or delete various foods and/or supplements from their diet. We recommend “grading” these three symptoms daily on a 0-10 scale (0=good and 10=bad) as this can REALLY help the FM sufferer keep track of various changes that are made in the diet and is extremely useful for future reference. FOODS: Since many FM sufferers have “sensitivities” to certain foods (reported to be as high as 42% of all FM patients), eliminating the foods below makes GREAT sense. First, it is REALLY IMPORTANT that you KEEP A FOOD JOURNAL for future reference (using the 0-10 scale) as it is impossible to remember all the reactions or responses to various foods even a day or two later, but especially a week or month later! Some common food offenders include MSG (commonly found in Chinese food – simply ask for the MSG to be NOT included when you place your order), certain preservatives, eggs, gluten (grains like wheat, oats, barley, and rye), dairy, as well as other common allergens (such as chocolate, nuts, shellfish, and others). Common symptoms may include headaches, indigestion (irritable bowel syndrome), fatigue, and sleep interruptions. When using an “elimination diet,” it is important to make sure you’re getting the essential nutrients in your diet, in which supplementation can help. Secondly, make it easier to eat in a healthful way! Have fruits and vegetables cut up and ready to eat so when you’re hungry, you can QUICKLY satisfy that urge. Lean meats or proteins are also VERY important! Remember, a well balanced diet gives you the “ammo” needed to fight fatigue, hurt less, help you sleep more deeply, and give you energy. By doing so, you will be able to stay more active and productive. Accept the fact that unless you pre-prepare the foods, you will instinctively reach for pre-packaged, no prep time, “fast food” options that most likely have poor nutritional content. 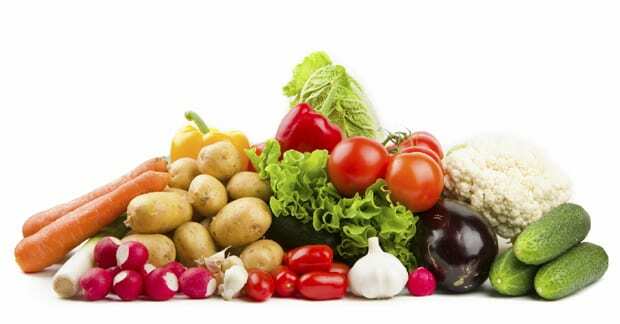 Look for healthy foods that do not require a lot of preparation such as buying pre-washed, pre-cut vegetables. Some deli sections have pre-prepared foods like beet salad or quinoa that can be purchased in small quantities to add variety to your diet. Third, plan for WHEN you eat. Eating small meals frequently during the day may help increase your energy levels. Make sure the word “SMALL” is understood or else you’ll gain weight and not be hungry for the next meal! ALSO, DON’T SKIP BREAKFAST AND DON’T EAT LATE AT NIGHT!!! Our metabolic rate (which regulates how efficiently we digest and breakdown our food) is highest in the morning and slowest at night. Try to include some protein and whole grains with your breakfast such as a boiled egg and oatmeal as this keeps the blood sugar from spiking and provides energy that lasts longer. Next month, we will look at supplementation including vitamins, minerals, and herbs that GREATLY help as well.